How to Use Competitors module? Adding Competitors is one of the most important actions in our system. You can add up to 9 Competitors. You know which position your competitors have towards your app. It helps you to create the third column in Keyword Auto-Suggestions, which gives you the opportunity to get the full semantic core. You can add your Competitors in few ways. Click on the tab "Keyword Analytics". These is a list of keywords, which you have added. Now you can add your Competitors from Top Apps for some keywords. Look on your Dashboard on the right. Our system shows you the titles of existing apps in this keyword. Click on the blue icon "Add". Also, when you click on this icon, you will see Organic Report of your Competitor's app. 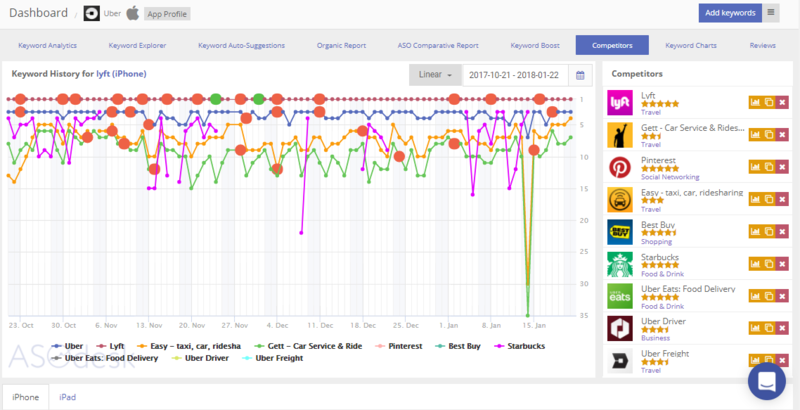 Click on this icon and you can monitor ASO Comparative Report of your Competitor. 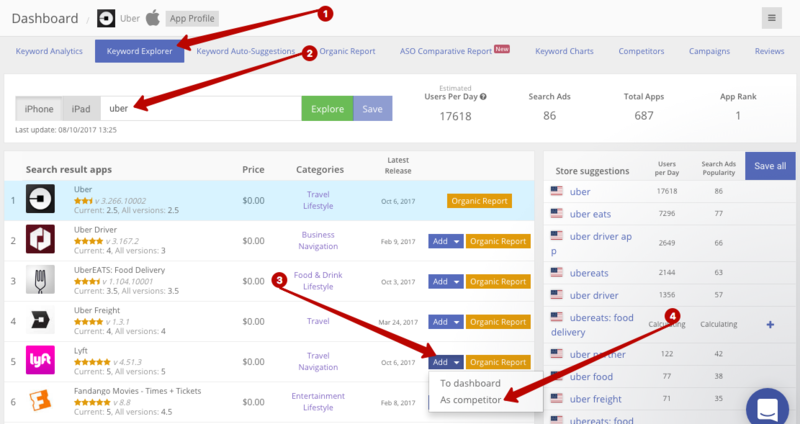 You can also add Competitors in the tab "Keyword Explorer". Click on the tab "Keyword Explorer". Enter any keyword. After that you will see the titles of applications as you can see them in store searching. Click on the button "Add" near the wanted competitor. You need to click on "As competitor" and the app will be added as your Competitor. Click on the tab "Competitors" at your Dashboard and then enter the names of your competitors. Choose and click on it. Then you enter other Competitors and after that you will see the list of your Competitors. You have the opportunity to add only 9 Competitors in your Dashboard. Look at the data of your Competitors. Adding Competitors helps you to create the semantic core. If you add a lot of Competitors, you will have more keywords autosuggestions. 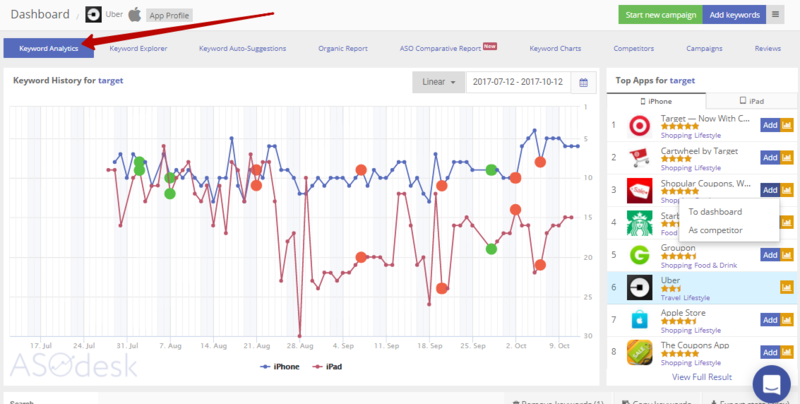 It will help you to monitor many requests for your app at the same time.